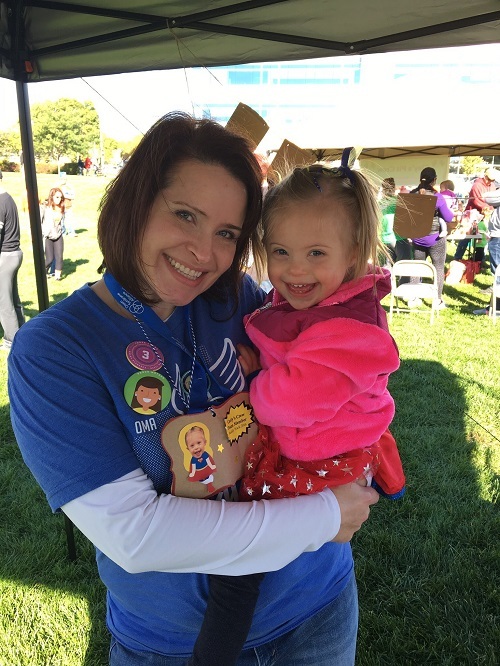 On Saturday, September 30th, the Down Syndrome Alliance of the Midlands will celebrate its 2017 Buddy Walk® event at Stinson Park in Omaha, Nebraska. One of over 60 teams working to reach the $100,000 event goal, Carly’s Crew walks in honor of three year old Carly. We had the pleasure of learning more about her team when we chatted with Carly’s mom, and team captain of Carly’s Crew, Brandy Wojtkiewicz. The Wojtkiewiczes have participated in the Omaha Buddy Walk® since Carly was just a baby; this will be their fourth year at the walk. Because the Down Syndrome Alliance of the Midlands has provided such great support to their family, they wanted to give back. Brandy shared that they have “grown up with them, learned so much from them.” They have learned a lot from other people, and this is their way of offering support back to the organization. To recruit team members, Brandy uses her Facebook page to post invitations which read as though they are coming from Carly. She will post cute, funny photos, with captions which may begin “Hey everyone, it’s Carly Rae”; using Carly’s voice really helps build excitement for their team. Because the team supports Carly, Brandy puts her right in the forefront, so that people see her as the star of the day. Making personal connections with her team members and donors has been Brandy’s most successful fundraising tactic. Handwritten notes, with tidbits of the supports that the organization provides to their family, let their supporters know how important it is for them to participate. The notes, which always include a photo of Carly, really makes people feel like part of the team and brings people back to their team year after year, as they know their support isn’t taken for granted. Brandy wants her team members to feel like they are champions for people with Down syndrome. “There are not enough people in the world who understand that these kids are more like anyone else,” Brandy shared. She wants her team members to know that people with Down syndrome are real people, with thoughts and feelings, who need love, friends, and championship. Brandy started using a catchphrase for her team: “Be-YOU-tiful!” She uses this to caption her walk posts on Facebook, and their team t-shirts boast the phrase, too. 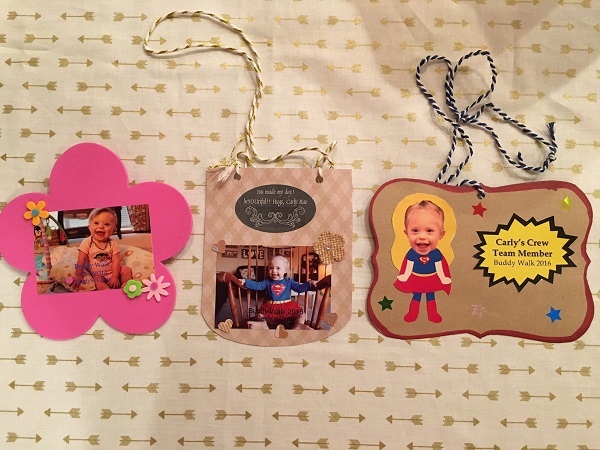 Carly’s Crew, we hope you have a Be-YOU-tiful time at this year’s Omaha Buddy Walk®! Can’t wait for the buddy walk. I get to spend time with the cutest little girl I know, Carly Rae. Oh yeah, I’ll bring the cookies.